← What’s the Value of Getting a Second Chance at Life? How many sales and marketing teams spend their days trying to capture customers? At the recent Sales 2.0 Conference in San Francisco, speaker LaVon Koerner asserted that demand capture is no longer a relevant approach. Instead, B2B sales and marketing organizations need to focus on demand creation. Koerner, who is president and chief revenue officer of Revenue Storm, said this shift is due to four major disruptions in sales today. 3) Economic conditions. Koerner pointed out that the American economy grew by just 2.6 percent in the final quarter of 2013. “That’s not enough growth to keep your sales organization healthy and for all your hungry competitors to hit their numbers,” said Koerner. 4) The next generation of tech users. It’s not just new technology that poses a challenge, it’s the way the new generation uses technology. As Koerner said, those currently coming up the career ladder communicate and make decisions by using technology in ways with which the older generations are unfamiliar. “This new generation of buyers will also buy differently,” said Koerner. 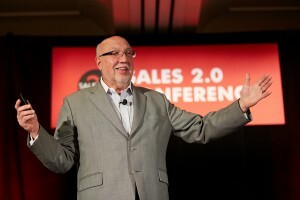 Join us at the Boston Sales 2.0 Conference on July 14. Register before June 18 and save $130. This entry was posted in Sales 2.0 Conference, Sales Leadership. Bookmark the permalink.